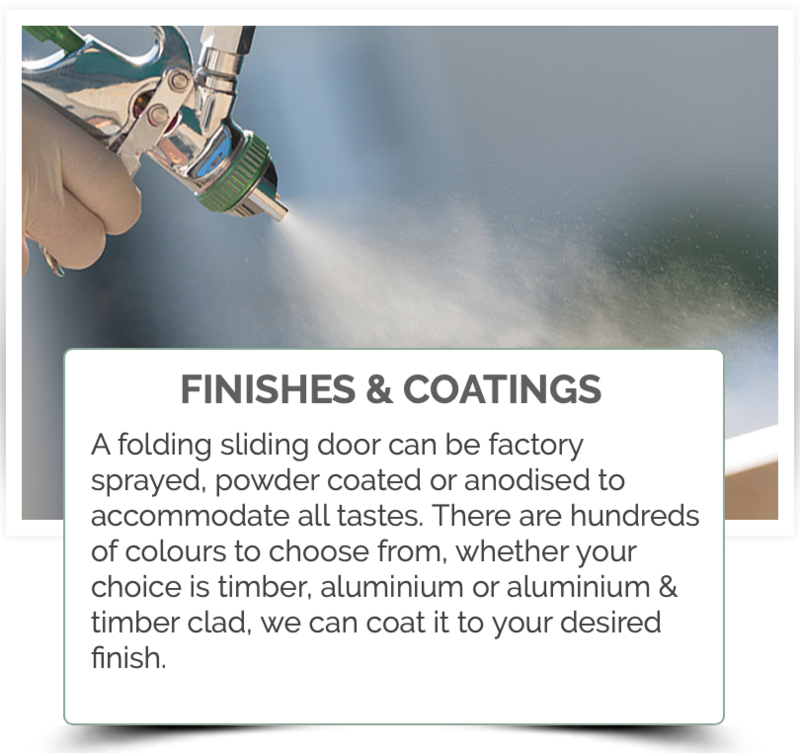 We are happy to inform our customers that we are able to supply virtually any desired finish for your Folding Sliding Door! All folding sliding doors can be powder coated, wood grain powder coated or anodized to accommodate all tastes. There are hundreds of colours to choose from. Whether your choice is timber, aluminum or ali-clad/aluminum, we can coat it to your desired finish. All of our timber products are factory sprayed with the highest quality coatings on the market and our aluminum products use a AAMA 2604 powder coat obtaining high durability and low maintenance. The following Sansin stain colours are considered our Standards: Latte,Purity Int. Glacier, Puritan Pine, Provincial, Cinnamon, Dark Cherry, Hazel, Special Walnut, Red mahogany, Dark Roast, Ebony. Meets Canadian Building code in most areas with the appropriate make-up in the Insulated Glass Unit.